Free-spirited Tracy cheers when her stuffy husband, Drew, loosens up enough to rearrange the nose of his boorish boss, Ian Dragger. But Drew's timing couldn't be worse. When Dragger is found floating face down in the Eatons' pool, deader than disco, Drew is the one that wily Detective Patti Garcia zeroes in on as her prime suspect. Still, Tracy expects to clear her sweetie in short order. But that's before help arrives -- in form of her own mother, over-the-top movie actress Martha Collins, and her rigid-with-dignity mother-in-law, Charlotte Eaton. And when the mothers get together, the fireworks go off. Obstacles mount higher when Drew's ex-flame, attorney CeeCee Payne, deals herself into the game. But CeeCee's peculiar behavior raises too many questions. Does she want Drew back? 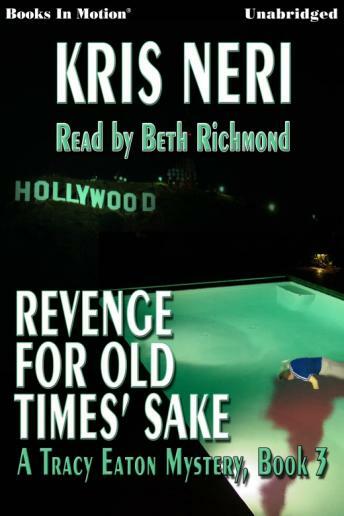 Or is revenge what CeeCee's after, as her actions threaten to condemn him to a life behind bars. When the bodies in the pool start stacking up like timber in a logging camp, Tracy knows nothing less than her wildest antics will do. But as the blows keep coming Drew's way, Tracy fears that even her craziness won't be enough to save him.